A panel discussing the legal, strategic, and market challenges unique to art’s dual nature as important to culture as well as an asset class. This event is part of our Society of Fellows Discussion Reception Series in New York, which is generously underwritten by Merilee and Roy Bostock and Ilona Nemeth and Alan Quasha. Mary Dinaburg brings to Art Legacy Planning and DinaBurg Arts four decades of experience in the art world, from setting up galleries and private advising to exhibitions and projects with major museums and corporations. She has worked all over the globe, with extensive experience in Asia. She has experience working with pre-eminent artists including, among many others, Julian Schnabel, Isa Genzken, Sigmar Polke, and William Legman. Bryan Faller has worked with many of the most significant international artists and estates of the twentieth and twenty-first centuries for over a decade, along with the academics, collectors and institutions with whom they are associated. He has worked equally as long with many of the most significant creative organizations and professionals in design and is a financial adviser with The Faller Company LLC, a third-generation family-owned and operated investment management firm. Faller has expertise working in the primary and secondary Contemporary, Impressionist and Modern art markets—respectively. He has worked for notable galleries such as Newman Galleries (Philadelphia), Ann Kendall Richards, Inc. and The Pace Gallery before founding, operating his own non-profit exhibition space. As an educator he has taught for The School of The New York Times and Sotheby’s Institute of Art and is the co-editor of the forthcoming publication through Lund Humphries titled “Creative Legacies” to be released in the fall of 2019. Working across the fine art, design and investment management industries uniquely positions Faller to serve as both thought-leader and practitioner. Kimball Higgs brings more than 20 years of broad experience across the art world to Winston Art Group, where, as Director of Art Advisory, he specializes in Modern and Contemporary art, as well as in Books and Manuscripts. He is responsible for assisting the firm’s major private clients with their collections of fine art. Previously, Kimball was Senior Vice President at an appraisal firm in New York City, and prior to that worked for Gagosian Gallery, as well as in the Books and Prints departments at Sotheby’s New York. He started his career as a rare book expert at the Grolier Club in New York, where he worked with major books and manuscript collections. Kimball is on the board of the International Print Center New York, and a member of the Grolier Club, where he has co-curated several exhibitions. He is compliant with Uniform Standards of Professional Appraisal Practice (USPAP), has passed his Appraiser’s Association of America certification exam in Contemporary Art, is a Committee Member of the Appraisers Association of America, and is a vetter for the Spring Masters art fair in New York. 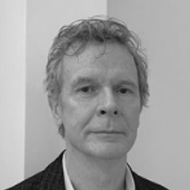 David Nolan is a gallerist who specializes in German and American contemporary art. Nolan began his career in 1980 as he left Ireland to work at the Michael Werner Gallery in Cologne. Then, in 1983 he moved to New York to work at Ileana Sonnabend. Finally, in 1988 Nolan opened his own gallery, the David Nolan Gallery. He currently works with both younger contemporary artists as they build their careers, as well as with mature late-career artists, and a number of estates, including Georg Grosz, Richard Artschwager, and Ian Hamilton Finlay. Nolan’s gallery mounts up to 8 exhibitions a year, frequently along with scholarly publications. The David Nolan Gallery also participates in 6 international fairs per year in America and across Europe. Ann-Marie Richard, AAA, joined the Sotheby's Institute of Art in 2017 after a twenty-year career in art business working at an international level. Ann-Marie is a fine art and design specialist with an expertise in art markets. 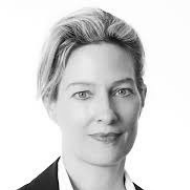 Prior to joining Sotheby's Ann-Marie was executive vice-president at the British Art Advisory Gurr Johns. Ann-Marie has experience advising on a diversity of legal cases including valuation for damage, loss, fraud, donation, loans, leasing, collateral, cost basis, retrospective and equitable distribution of marital property. Ann-Marie has provided expert witness, mediation, litigation, deposition and trial preparation support. Her scope of work has had her handle art brokerage for private treaty and public auction sales. She consults with financial institutions, nonprofit organizations, museums, private collectors, artist foundations, trusts and estates. Ann-Marie has worked as a collection manager, curator and art historian. She has lectured extensively on the topic of connoisseurship, collecting, conservation, provenance, emerging markets and the related subtleties of art valuations. Exhibitions she has curated have been favorably reviewed in nationally and internationally distributed art newspapers and magazines such as Art in America, ArtNews, The New York Times, Art Critical, ArtInfo, The Brooklyn Rail, The New York Observer, Art-Times Russia edition andKorea Times. In addition to her background in Antiques and Design acquired through three generations of family business, she is a specialist in Post-war, Contemporary, and Emerging Art. Ann-Marie was educated in Canada, Italy, the UK and France. She obtained her MA in the History of Decorative Arts and Design from The New School/Parsons The New School for Design/Cooper-Hewitt National Design Museum. She is a Certified Member of the Appraisers Association of America.